Although Canadian politicians had viewed the increasing militarism of their southern neighbour with concern, few had believed it would come to this. 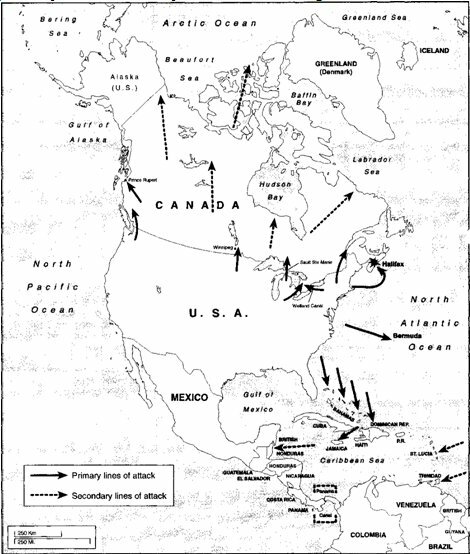 What started as a trade dispute soon escalated to American demands for duty-free access to Canadian markets and preferential access to Canadian resources. A clash between the RCMP and cattle-poachers near the Alberta border then provided an increasingly bellicose US Congress and Administration all the excuse they needed. War was declared. It would be, President McCabe confidently declared, “the final glorious chapter in America’s manifest, God-given destiny.” For the third time in two centuries, American forces were set to invade Canada. One major focus of US operations would be Montréal. US Army and newly-mobilized National Guard forces would sweep northwards through the Champlain Valley from Vermont and New York to seize the city. In doing so they would block the critical road, rail, and St. Lawrence River lines of communication that connected the Maritime provinces with central Canada. 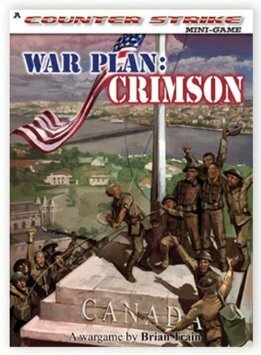 They would be well positioned to advance on the Canadian capital of Ottawa itself, a little over one hundred miles to the west..
To the east, US Marines would lead an amphibious landing to take control of Halifax and block the arrival of any Commonwealth reinforcements. As US troops prepare to cross the border, the initial Canadian line of defence is established in the southern townships. Canadian forces were woefully unprepared. Morale was low. British attentions had largely been focused on the rise of fascism in Europe. Major General Brynen, chief of the Canadian defence staff, decided upon a phased defence against the main American invasion force. An initial line of defence would be deployed in the southern townships, stretching from Huntington to Napierville, and from there to south of St. Jean. 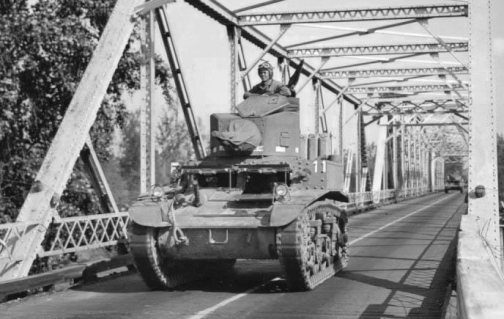 This was intended to delay the US invasion while reinforcements were brought into Montréal. Once breached, these units would fall back to a second defensive line along the South Shore, centred on Chateauguay, St. Lambert, and Boucherville. If all else failed, the Army would fall back to the island itself. Canadian forces retreat as the American army advances northwards. Meanwhile, US naval forces supported the landing of a Marine brigade south of Halifax, at Ketch Harbour and Terence Bay. Canadian troops took up blocking positions on the coastal approach to the city. 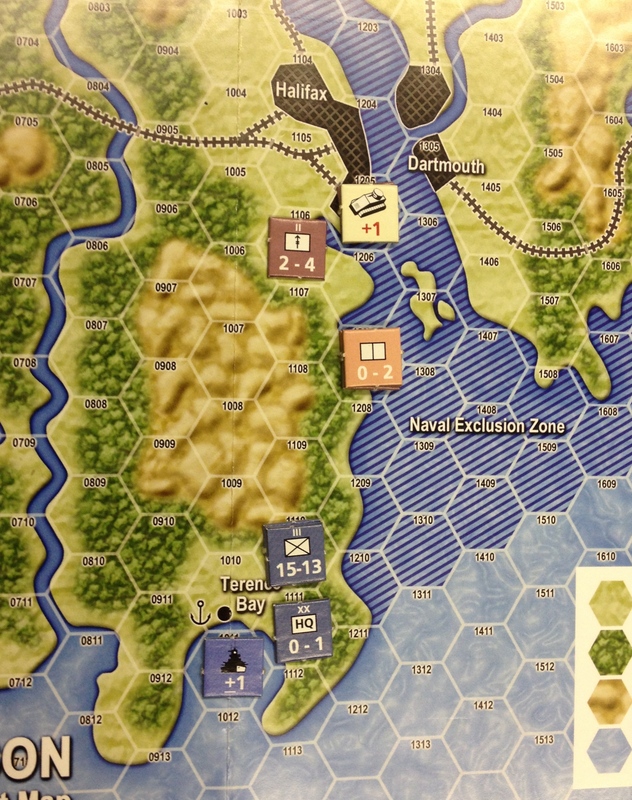 US forces land in Nova Scotia, planning to march on Halifax. 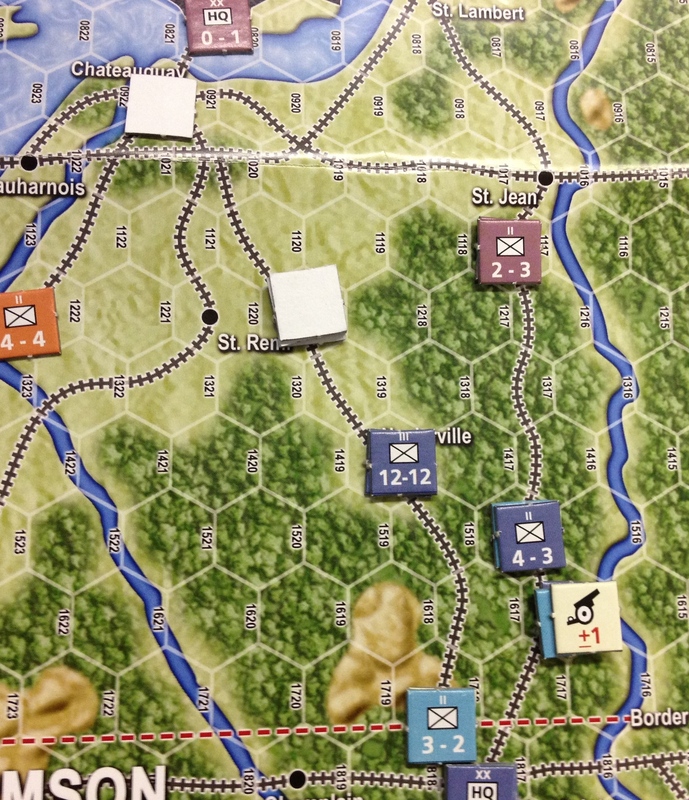 In Quebec, US forces readied an assault upon the Chateauguay line. Before the orders could be given, however, politics intervened. Ottawa signalled a willingness to surrender. President McCabe ordered a halt in operations while the terms of this were negotiated. Many of the reinforcements were RCMP, local police, or lightly armed volunteers, incapable of offensive action—but certainly able to fill gaps or reinforce regular troops and militia. With most forces deployed south of the city, however, Montréal itself remained only lightly defended. Could the line be held long enough for additional reinforcements to arrive? Canadian forces prepare their second line of defence on the South Shore approaches to Montréal. Meanwhile in Nova Scotia, the Marines found their advance along Ketch Harbour Road slow. Cross-country movement through the hills, forests, and lakes would have been even slower, however. Canadian forces set up a defensive position south of the city. They would slowly fall back over the next week or so, but not after grinding down the American attackers. 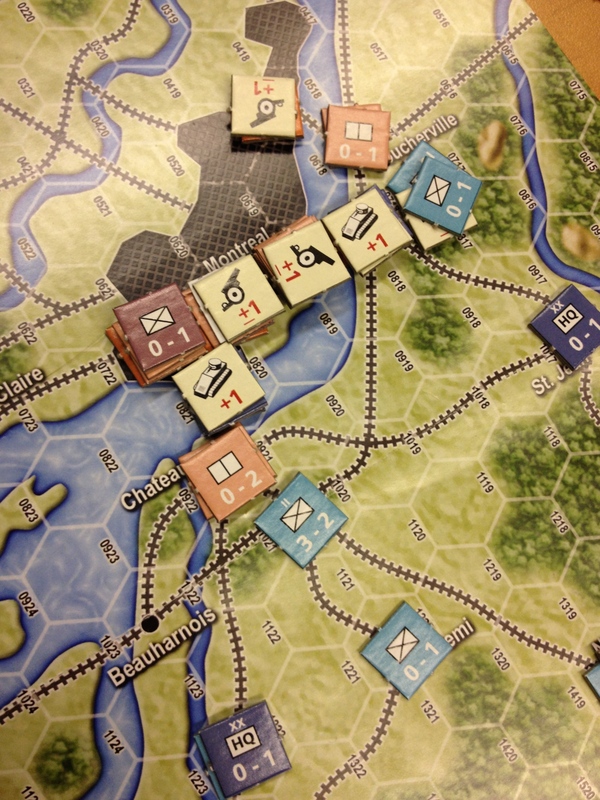 Coupled with reinforcements arriving in Halifax, it looked as if the easternmost part of the US campaign would be a failure. US Marines move towards Halifax. 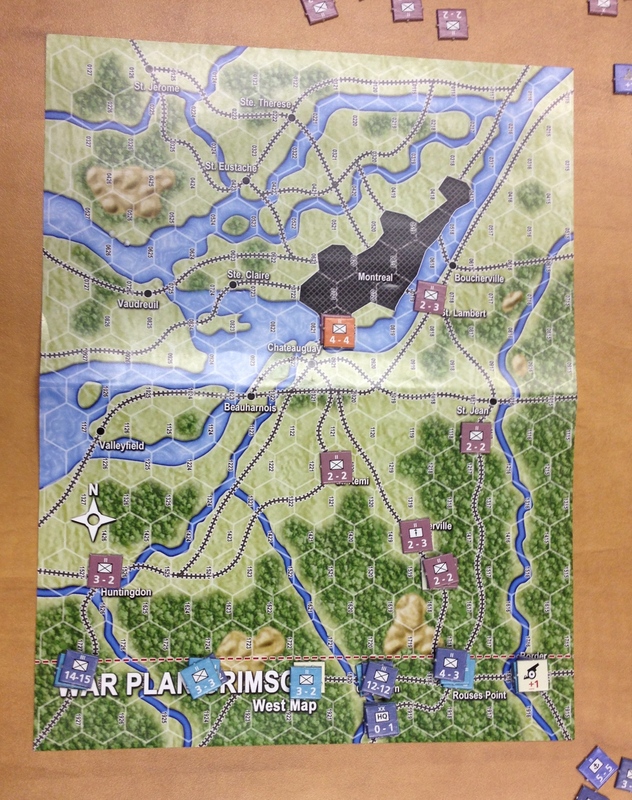 Next, the US launched its assault against Chateauguay. This forced the Canadian defenders back across the bridge into Montreal itself. They then followed up with an assault across the St. Lawrence itself, winning a beachhead in the Pointe-St.-Charles district of the city. It looked as if Montreal might fall! That it did not owed a great deal to the inhabitants of Chateauguay and the Mohawks of nearby Kanawaki. When the Americans briefly left their rear areas unsecured ,volunteer militia units sprang up and cut supply lines to the US force across the river in Montréal. 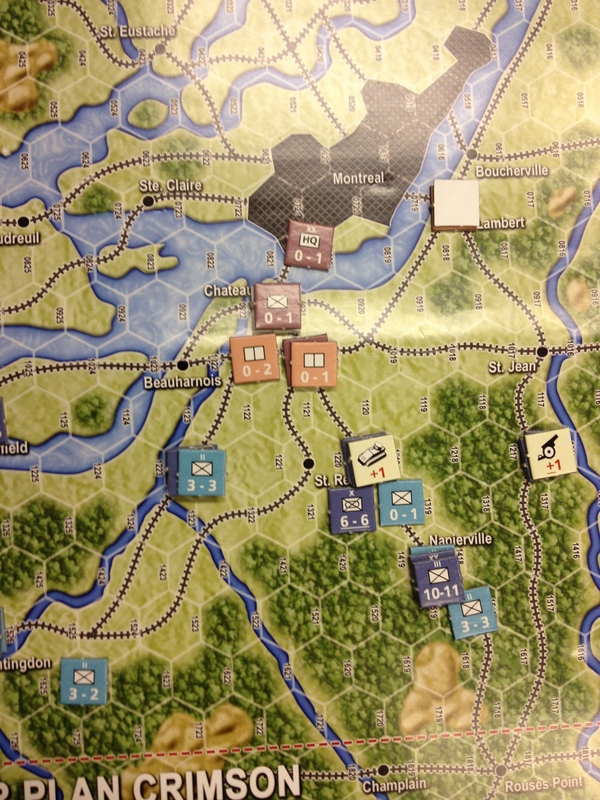 Although the rebellion was crushed it won crucial time for additional Canadian and Commonwealth forces to arrive. 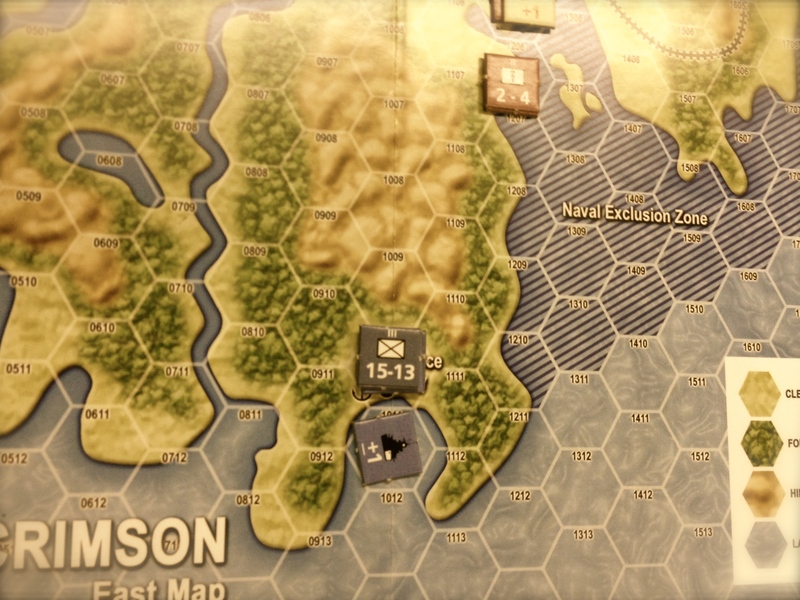 With the war proving more difficult than expected, and the Royal Navy now beginning to blockade American ports and attack American shipping, President McCabe decided to reopen peace negotiations. The Canadians too were in a more compromising mood. While they had won none of the major battles, their very survival in the face of the juggernaut of American imperialism was seen by many as a victory.